The case involved a man who claimed his attorney told him he didn't have to worry about immigration status. Washington (CNN) -- Defense attorneys have a fundamental obligation to tell their immigrant clients they face possible deportation when pleading guilty to certain crimes, the Supreme Court ruled Wednesday. The 7-2 ruling was closely watched by the Justice Department and a number of immigrant rights groups. "The severity of deportation -- the equivalent of banishment or exile -- only underscores how critical it is for counsel to inform her noncitizen client that he faces a risk of deportation," said Justice John Paul Stevens, who wrote the opinion for the court. "It is our responsibility under the Constitution to ensure that no criminal defendant -- whether a citizen or not -- is left to the 'mercies of incompetent counsel.' To satisfy this responsibility, we now hold that counsel must inform her client whether his plea carries a risk of deportation," he wrote. The high court's conclusions affirm that constitutional guarantees of "effective assistance of counsel" extend to legal advice for noncitizens. The appeal involves Jose Padilla, a Vietnam-era veteran living in Kentucky but originally from Honduras. He had been a resident of the United States for more than 40 years, but never applied for citizenship. He was arrested in his tractor-trailer and charged with transporting and trafficking marijuana, an "aggravated felony" under federal law. He pleaded guilty in 2001, and said his lawyer assured him he "did not have to worry about immigration status since he had been in the country so long," according to court records. But the fact that the crime was an aggravated felony meant he would automatically be sent back to Honduras after serving his jail sentence. A state court said he could not withdraw his guilty plea, and that lawyers have no obligation to inform defendants on immigration. Padilla is not related to a convicted terrorist conspirator and "enemy combatant" with the same name, who was arrested after the 9/11 attacks. That defendant is now in a federal prison serving a life term. Twenty-one states and the District of Columbia already mandate that immigrant defendants be given the right extended by the high court. 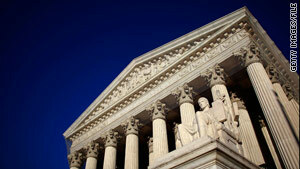 Stevens noted previous plea deals are not likely to be affected by the Supreme Court ruling. Justice Samuel Alito and Chief Justice John Roberts agreed in this case that Padilla's lawyer misled her client on the consequences of a guilty plea. But they said that, in general, defense attorneys cannot be forced to have a "mastery of immigration law" in service to their clients. "A criminal defense attorney should not be required to provide advice on immigration law, a complex specialty that generally lies outside the scope of a criminal defense attorney's expertise," Alito wrote. Justices Antonin Scalia and Clarence Thomas disagreed entirely with the majority, saying the Constitution does not guarantee "accurate advice" to criminal defendants, immigrants or citizens alike. Immigrant rights groups hailed the ruling as one of fundamental fairness. "Even though most immigrants' primary concern is their ability to stay in the U.S., they often plead guilty unaware that the result would be permanent exile from their families and communities," said Michelle Fei, co-director of the Immigrant Defense Project. "We're thrilled that the Supreme Court has recognized that deportation is an extreme penalty and that noncitizens have a constitutional right to legal advice about the consequences of pleading guilty." The case is Padilla v. Kentucky (08-651).